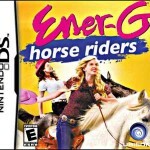 You will never be bored again when you play horse games for Nintendo DS. 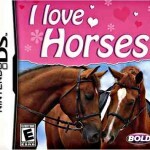 Nintendo allows on the go fun for horse lovers of all ages. Learn the basics of horse care including everything from grooming to training and breeding. 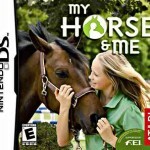 These NDS horse games allow you to become part of a story, or visit a world full of ponies. 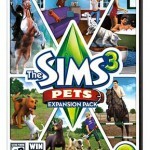 You can customize your own horses and deck them out in fancy matching tack. Whether on the bus, in the car, or just in your spare time, Nintendo horse games will keep you busy and learning. Buy your first horse, become best friends with him and turn yourself into a successful breeder! Perfect for girls between 6-10 years of age. Do you like mini-games and horses? This game has both! It’s a bit expensive but did you ever imagine playing Frisbee while riding a horse? In this game you can do that and many other things! 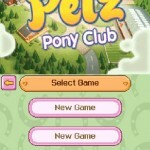 In this game, made for a younger crowd, you’ll know what it feels like to have your very own Pony Club. You’ll need to groom your ponies and get them ready for three types of competitions. Live the life of Lily and prepare yourself for some amazing adventures while exploring amazing scenarios. Raise and groom your own Mustangs, train your skills and prove that you are a champion.